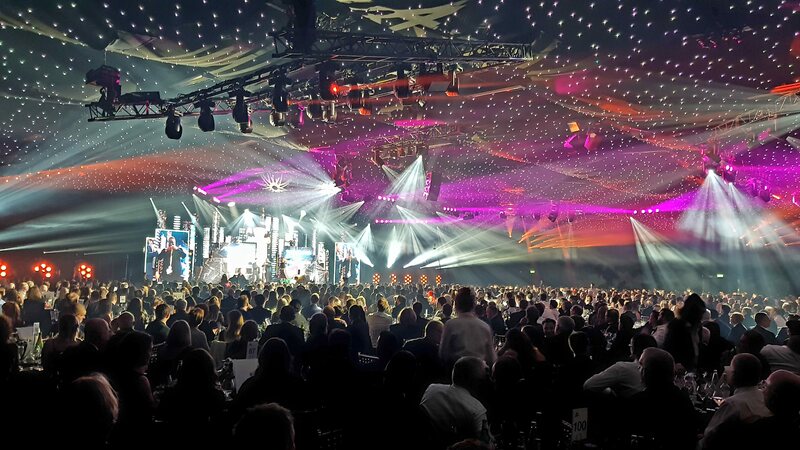 With Nexo sponsoring the TPI Awards 2018, Sound of Music Ltd. were chosen to provide the audio solution for the entire event, including the 2000 capacity main awards at Battersea Evolution, including the VIP and bar areas, as well as conference space in a nearby hotel. 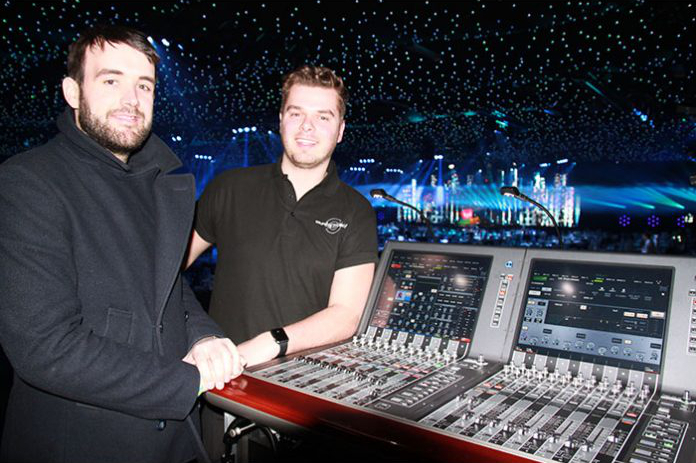 BSc (Hons) Sound, Light and Live Event Technology graduates, Toby Chevis and David Wilson, crewed the event. Tasks involved rigging 5 hangs of Nexo GEO M10 (left, right and centre fill with two delay hangs) and an STM S118 subwoofer array in the main room, a small STM system in the bar area and configuring all control networks, linking the various areas together. All areas at the event were controlled by Yamaha mixing consoles, featuring a new Rivage PM10 in the main room, which was also sending audio to a Yamaha QL1 in the bar area. A Yamaha CL5 was used in the conference space. The day of the awards show, David operated the daytime conference, mixing a Nexo GEO M6 rig on the Yamaha CL5, with 8 channels of RF and playback. The daytime conference was focused on various current issues in the live event industry with panel discussions on the topics. Toby mixed FOH in the main room, using the PM10 with Sennheiser 6000 series wireless handhelds with a room full of the live event industry’s leading engineers and designers from companies across the UK and the world. No pressure then! It’s not exactly the show you want to embarrass yourself with feedback, of which there was none thanks to some clever tools in the PM10 such as the wonderful Dan Dugan Automixer and Dynamic EQ. System setup was totally digital with the amplifiers fed from the desk over Dante, where the PM10s plethora of matrix buses made mincemeat of the multitude of feeds required. The event sounded great and went off without a hitch! Avolites were even overheard saying it was the best sounding TPI Awards for years.